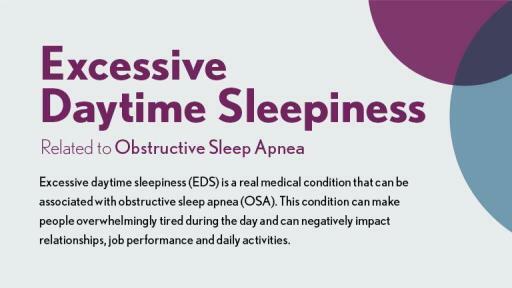 DUBLIN, March 20, 2019 – Jazz Pharmaceuticals plc (Nasdaq: JAZZ) today announced that the U.S. Food and Drug Administration (FDA) approved Sunosi™ (solriamfetol) to improve wakefulness in adult patients with excessive daytime sleepiness associated with narcolepsy or obstructive sleep apnea (OSA). 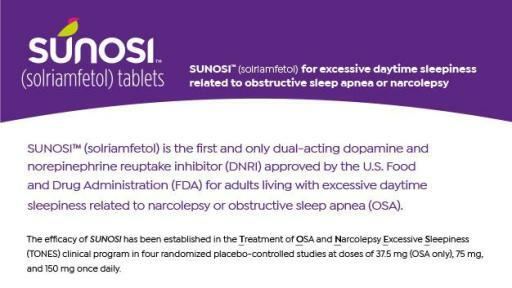 Once-daily Sunosi is approved with doses of 75 mg and 150 mg for patients with narcolepsy and doses of 37.5 mg, 75 mg, and 150 mg for patients with OSA. 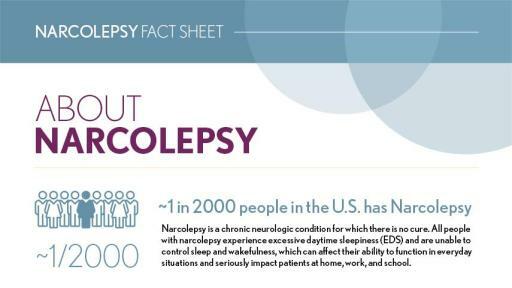 Sunosi is the first dual-acting dopamine and norepinephrine reuptake inhibitor (DNRI) approved to treat excessive daytime sleepiness in adults living with narcolepsy or OSA. More information about Sunosi, including Full Prescribing Information and Medication Guide, is available here. This press release contains forward-looking statements, including, but not limited to, statements related to the potential benefits of Sunosi, the expected timing of the commercial launch of Sunosi in the U.S., the company’s belief that the Sunosi label will give physicians the information needed to appropriately manage the vast majority of OSA and narcolepsy patients with excessive daytime sleepiness, and other statements that are not historical facts. These forward-looking statements are based on the company's current plans, objectives, estimates, expectations and intentions and inherently involve significant risks and uncertainties. Actual results and the timing of events could differ materially from those anticipated in such forward-looking statements as a result of these risks and uncertainties, which include, without limitation, risks and uncertainties associated with: the company’s ability to effectively commercialize Sunosi in the U.S.; delays or problems in the supply or manufacture of Sunosi; obtaining and maintaining appropriate pricing and reimbursement for Sunosi; complying with applicable U.S. regulatory requirements; any delays in, or the outcome of, DEA scheduling for Sunosi; and other risks and uncertainties affecting the company, including those described from time to time under the caption "Risk Factors" and elsewhere in Jazz Pharmaceuticals plc's Securities and Exchange Commission filings and reports (Commission File No. 001-33500), including the company's Annual Report on Form 10-K for the year ended December 31, 2018 and future filings and reports by the company. Other risks and uncertainties of which the company is not currently aware may also affect the company's forward-looking statements and may cause actual results and the timing of events to differ materially from those anticipated. The forward-looking statements herein are made only as of the date hereof or as of the dates indicated in the forward-looking statements, even if they are subsequently made available by the company on its website or otherwise. The company undertakes no obligation to update or supplement any forward-looking statements to reflect actual results, new information, future events, changes in its expectations or other circumstances that exist after the date as of which the forward-looking statements were made. 5.Thorpy, M. and Krieger, A. (2014). Delayed diagnosis of narcolepsy: characterization and impact. Sleep Medicine, 15(5), pp.502-507. 6.Ahmed I, Thorpy, M. Clinical Features, Diagnosis and Treatment of Narcolepsy. Clin Chest Med. 2010;31(2):371-381.